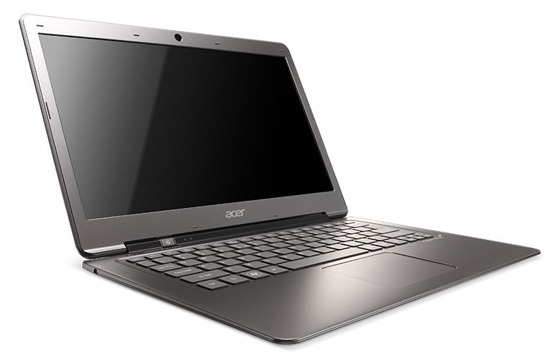 Review The Acer Aspire S3 is a major new entrant to the emerging market for ‘ultraportables’ – ultra-thin but powerful notebook PCs with reduced components to keep the space and weight to a minimum. It won’t suit everyone, but if you like the idea of a portable Windows computer than can be carried in one hand or tucked under your armpit rather than lugged around in a shoulder bag, the S3 is a delight. So the fact that the S3 is several hundred pounds cheaper than a MacBook Air while offering double the storage is something you’ll have to work out for yourself. I, for one, will not be mentioning it. 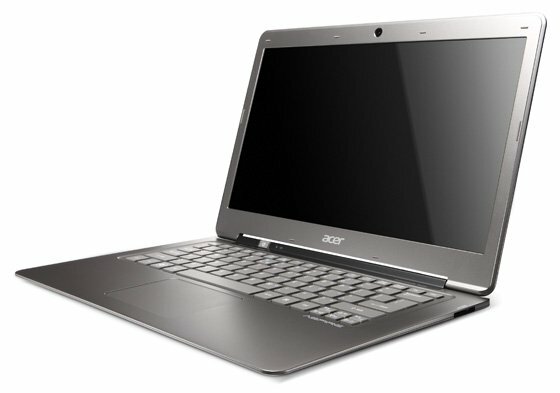 A sophisticated brushed aluminium finish: I wonder where Acer got the idea from? In a notebook market populated by fragile, plasticky models, the Aspire S3 stands out with its tough-looking, brushed aluminium casing. Magnets keep the case closed without the need for a clasp. The lid and body do not have perfectly flush edges: far from being a lapse in design, this actually makes it quick and easy to open the case without having to fumble for “the right place” first. The body of the case is gently sloped, the rear being a few millimetres higher than the front edge. Opening the almost unfeasibly skinny lid reveals a 13.3in display with not too much space wasted around the bezel. The display’s 1366 x 768-pixel resolution is a compromise, of course, but Acer has taken the trouble to ensure it’s a decent quality display in terms of visuals. In use, the screen is crisp and clear with an impressively wide viewing angle for such a small computer.